Many plant species and their habitats are protected under national and international legislation due to their restricted distribution. Wetland Surveys Ireland have highly trained and experienced botanists to undertake targeted rare plant surveys or surveys at the plant community level. We use the latest techniques in carrying out flora surveys including the use of field computers for recording data in standard formats while also using GPS and GIS to aid in reporting the results of flora surveys. Our ecologists have the experience and resources to allow detailed analysis of vegetation data. We have experience of applying the National Vegetation Classification (NVC) system in classifying plant communities on various projects in Northern Ireland. 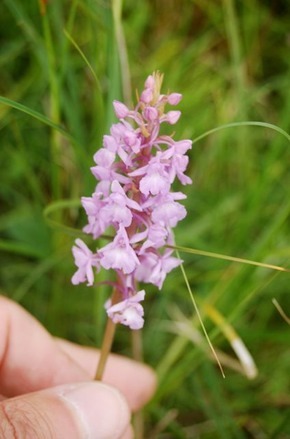 During 2009 and 2010 we undertook Orchid surveys throughout a number of counties as part of the Orchid Ireland project. During 2011 we undertook surveys of Invasive Plant Species throughout the Lee Catchment, County Kerry.